Express shipment possible for delivery tomorrow, 26.04.2019! 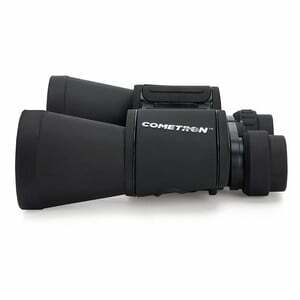 Cometron binoculars are ideal for astronomy and terrestrial use in twilight. 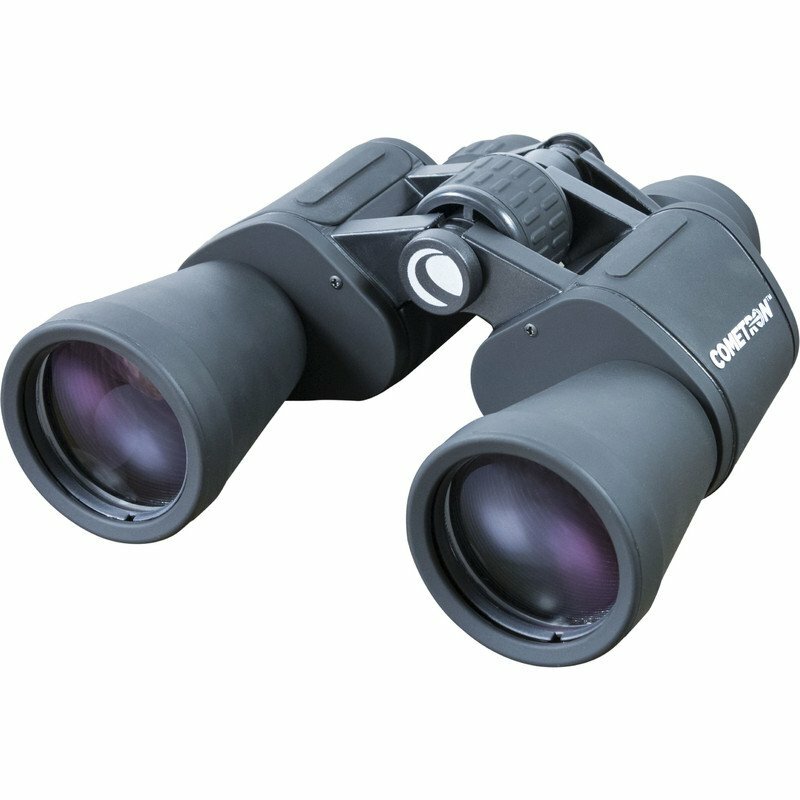 These classic porro-prism binoculars provide maximum image brightness: The beam of light that leaves the eyepiece (the so-called 'exit pupil'), is seven millimetres in diameter - about the same size as your dilated pupils at night. This means that no light is wasted, and lets you see faint objects such as nebulae or comets more clearly, as well as animals at twilight. The multi-coated lenses ensure high light transmittance and prevent distracting reflections. 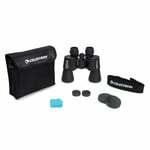 The Cometron's wide field of view lets you observe large areas of sky to easily locate your target object and then keep it in view. Whether you are looking for an astronomical object in the sky or a terrestrial object on the ground when nature-watching, the wide field of view is always an advantage. The generous eye relief also ensures comfortable viewing and makes these binoculars suitable for spectacle wearers too - no matter whether you wear glasses normally or wear sunglasses for nature-watching on a sunny day. The Cometron's rubber-armoured aluminium housing is robust and lightweight. 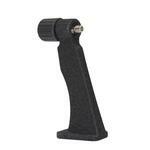 Extra grips for the thumbs mean you always have an extra-secure grip. 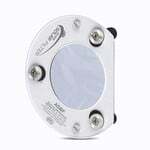 Naturally, it is also threaded for connecting to a tripod so that you can easily use the tripod adapter (only with 12x70 included in delivery), for longer observing sessions. 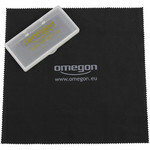 The package includes a wide neck strap and a case for always keep them handy. Focusing is via a large centre focusing wheel, and naturally there is a dioptre adjuster on the right eyepiece. 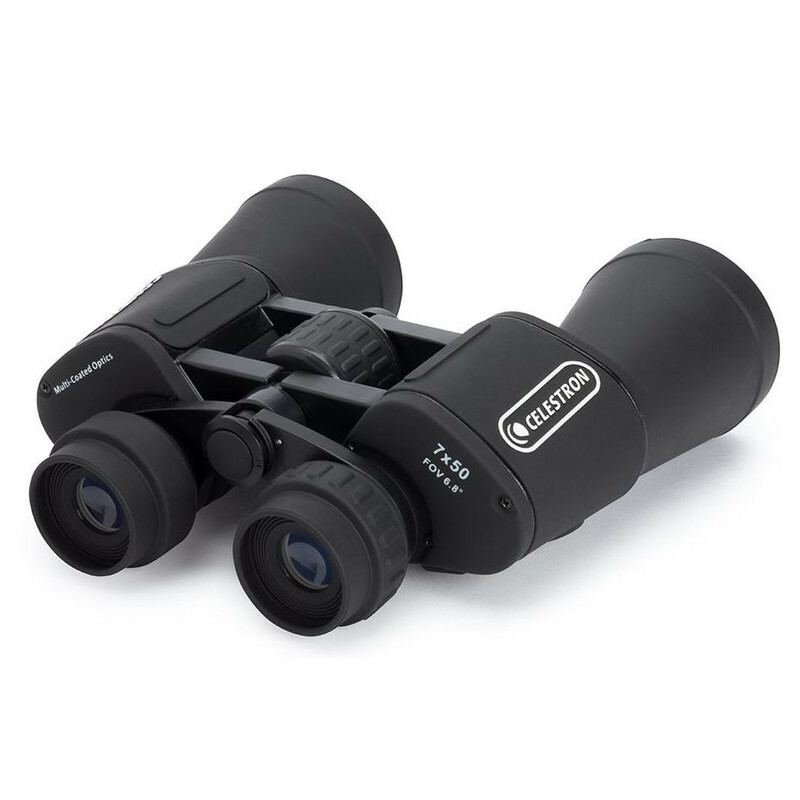 The large eyepieces also allow digiscoping, so photography with a compact camera through one eyepiece of the binoculars is possible. 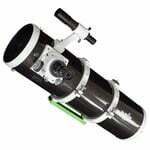 The Baader Planetarium Microstage II camera holder is especially convenient as it allows you to adjust the camera behind the eyepiece. Before buying this product, make sure to check our accessory recommendations. + Show more accessories in this category. - Show less accessories in this category. The checked products will be added to your shopping cart when clicking on 'buy'! 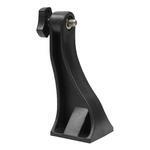 *All prices include VAT plus shipping costs.